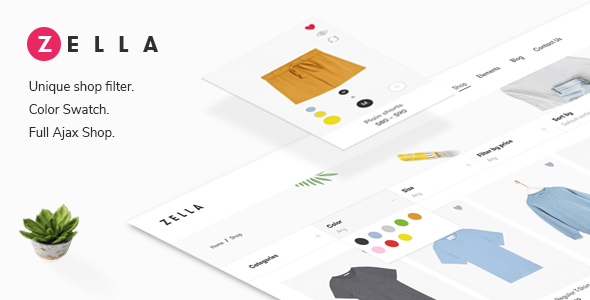 ZELLA is a Creative and Innovative eCommerce WordPress Theme that is highly customizable, easy to use and fully responsive. This exquisite and intuitive theme is carefully developed and includes all the necessary tools and settings that will help you create a professional looking and trustworthy website. Easy to use, awesome and powerful. You will be able to build your website in a snap without coding knowledge. Are you ready to get it for now? Shop with Top Sidebar, Left Sidebar, Right Sidebar, Without Sidebar. Zella can be customized easily using Option Framework. It has a powerful theme options panel via SMOF. build various page layouts with minimum effort. If you have any questions please send email to [email protected]. We will resolve the query within 24 hours.